It may not sound it, but taking care of a car’s paintwork is a fine art — and one that could have a direct impact on its resale value. Keep your car clean and rust-free from boot to bonnet, and you’ll get a lot more for it when it you sell it or trade-in. If you neglect the paintwork you could be forced to accept a low offer when advertising it to potential buyers — not great when you’re in the process of saving up for a new one. If you want to protect your investment, or if you just want to take better care of your car, here’s a list of the do’s and don’ts.. Waiting until your car’s completely filthy before cleaning it might free up more time on a weekend, but it certainly won’t do your paintwork any good. The slightest coating of dirt and dust can lead to premature wear and abrasion, and even if your car looks clean, this doesn’t mean you shouldn’t wash it regularly. To keep the paintwork in peak condition, give it a wash every fortnight or so. This will help to reduce unwanted abrasion, and prevent the onset of rust. Some people think washing a car this regularly will remove the protective coating from its paintwork, but this isn’t the case — unless of course you use the wrong type of product, which we’ll get to next. Fairy Liquid may remove grease and grime from your cutlery, but it’ll do a great deal more to your car — like slowly strip its paintwork, for example. Household cleaners aren’t developed for use on cars, and are often strong enough to remove the protective wax layer from its exterior. Take it from us — professional car valets would wince to see washing up liquid squirted all over a bonnet. When it comes to cleaning your car, leave the household cleaners under the sink and reach for a specialist car shampoo instead. Here at Simoniz, our car shampoo is safe for use on any paintwork finish, and features a deep cleaning formula with carnauba wax that will remove stubborn dirt and debris whilst offering complete protection and shine. We’d also recommend using our Multi-Use Pressure Washer Fluid, as standard water can leave unwanted deposits and residue on your car’s paintwork. Swirl marks are super fine scratches that appear on the surface of your car’s paint as a result of improper washing practises, such as removing dust and dirt using a dry cloth. Some people might tell you that covering the car in wax will remove the marks, but this isn’t the case. Instead, the best way to remove swirl marks is with a quality car polish. To reduce the risk of swirl marks in the future, make sure to rinse your sponge (or other washing tool) regularly during washing, preferably in a separate bucket. Dirt particles on the sponge can easily cause damage to the paint, so try to get the sponge or cloth as clean as possible before bringing it back to the paintwork. After you’ve rinsed off your car with a pressure washer, you’d be forgiven for thinking your job was done — but no, there’s still the drying to do. 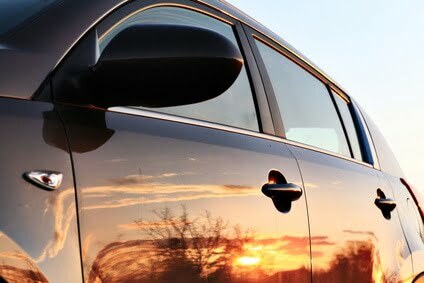 If you let your car air dry, water marks will develop on the surface — and these are often more difficult to remove than dirt and road dust. 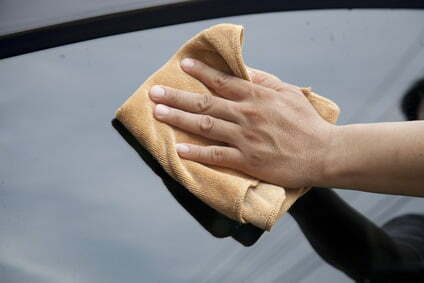 To dry your car effectively, use a soft microfibre towel or chamois to carefully remove any and all water droplets from the paintwork. Using a long, figure of 8 action, start at the top of the car and work down each panel to remove excess water and leave the car looking its shiny, showroom best. If you thought you could wash and dry your car with any type of cloth, think again. Materials not designed for car washing, such as old t-shirts and other bits of clothing, can actually scratch or damage your paintwork, so never be tempted to use them. It’s also a good idea to remove any jackets with a metal zip or button before washing, as these could easily result in an accidental scratch when you lean over. Rather than putting your old t-shirts or bed sheets to use as car cleaning implements, invest in a set of professional car cleaning tools to safeguard your paintwork against accidental damage or abrasion. We’d recommend buying a good quality car sponge, a chamois or microfibre cloth, a wheel brush and a pressure washer to make a proper job of cleaning the car each and every time. At Simoniz we’ve been taking care of cars for over 100 years, with a heritage of protective shine. 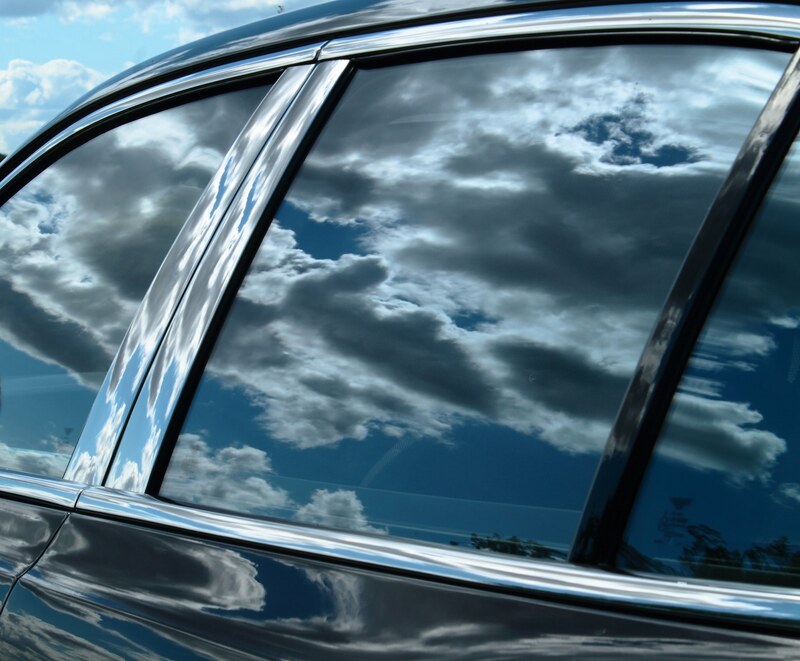 Our range covers the whole of your car to make it easy for you to keep it looking its best. View our ranges here.